In good news for our local stingray population, 113 rays were counted at the sandbar in a recent article by the Cayman Compass. Not only is this a good thing for visitors interested in heading out to Stingray City as there are more rays than ever to meet and greet, but it’s also good news for a population that has dipped in the past. And even though this is a record number of stingrays for the area, it’s important that our beloved rays are still treated properly. 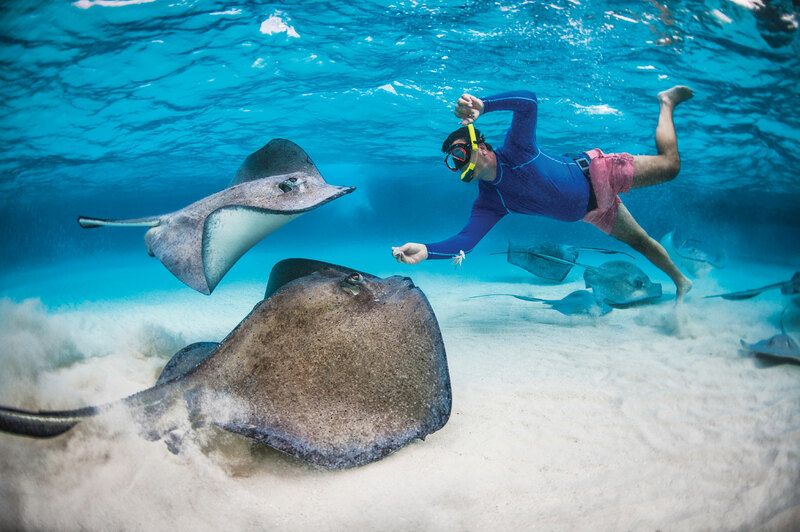 Issues such as overcrowding and proper handling threaten the rays, so if you’re planning on making a visit to kiss a ray for good luck, be sure to do it with a tour operator! It’s great news that our rays are thriving—we’re pretty attached to our marine life from our perch here on Seven Mile Beach!